According to the most famous work by Miguel de Cervantes, it was on the beach of Barcelona where Don Quijote lost his last battle. 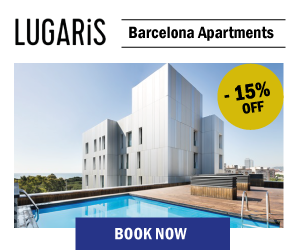 Now, in Lugaris we want to help you make the most of your stay on the coast for the sake of other more rewarding and pleasant reasons. 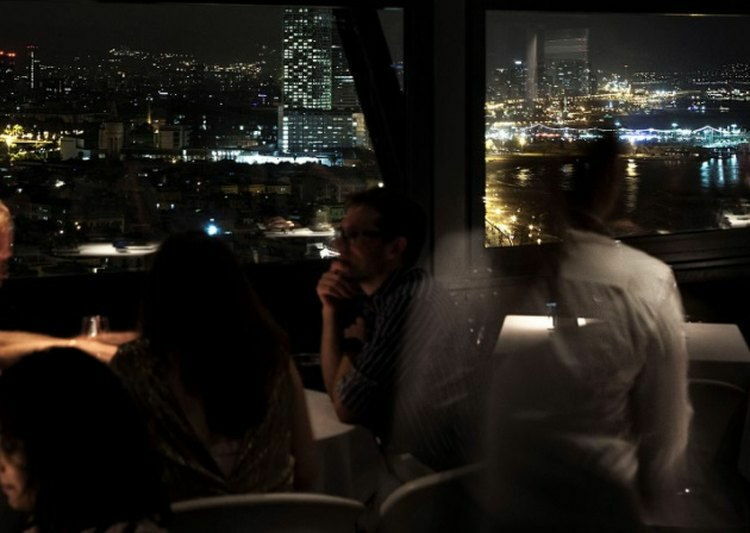 For example, savouring the delicious Catalan cuisine while enjoying panoramic views. And what better way to do it than having lunch or dinner in one of the best restaurants with seaviews in Barcelona? Take advantage of our rental apartments in Poblenou and try the best traditional recipes in luxurious settings. 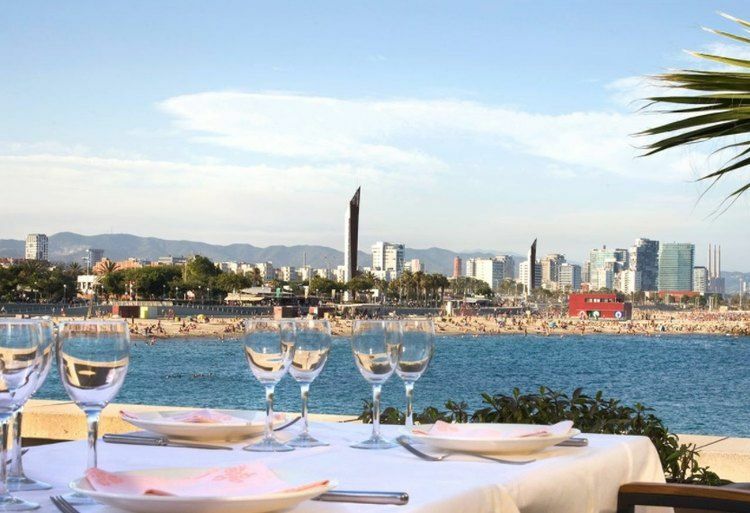 Below, we present you the 10 best restaurants of Barcelona by the sea. Be aware: it’s not easy to decide! The name of this restaurant gives us clues as to the antiquity of this cosy restaurant, which opens its doors in the old Commercial Docks, also home to the current Museum of the History of Catalonia. Its simple and genuine dishes are based on Mediterranean recipes and cooked with the utmost care using quality ingredients of this land. Freshly cooked rice dishes, seafood and fish from the Barceloneta fish market are the main protagonists. 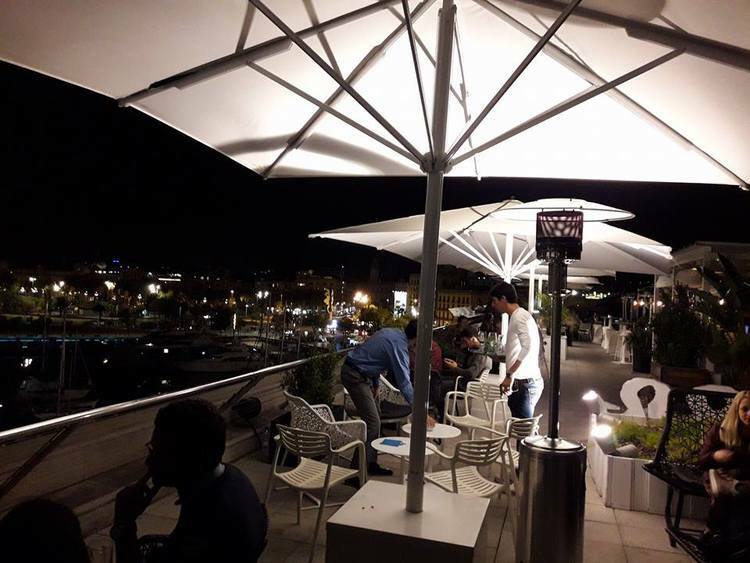 And if you want to round off the experience, go up to the Terrassa de les Indianes, where you will find a laid-back cocktail bar overlooking the port of Barcelona. You will find it in Plaça de Pau Vila, 3. The coolest and most sophisticated version of chiringuitos (beach bars). We are talking about Boo, a place with Ibizan flavours full of authentic sensational experiences. The establishment houses various spaces. 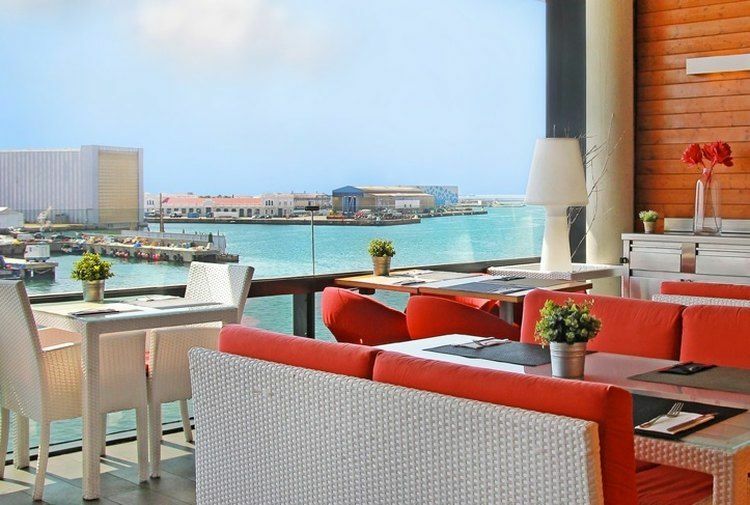 One of the most outstanding parts is its restaurant overlooking the sea, whic specialises in Mediterranean and seafood cuisine. However, it is also more than recommendable to visit its chill-out area where you can have lunch, dine or relax with a drink; the beach club is an ideal spot for tasting a mouth-watering menu in one of the most exclusive and unique places of Barcelona, and the viewpoint, a glazed dining room from which you will admire the Mar Bella beach, one of the closest to our luxury apartments. Boo opens its doors at Espigó de Bac de Roda, 1. This seafood restaurant is one of the greatest emblems of Barcelona-1992. In fact, it was inaugurated in the Olympic Port of Barcelona (created to host sailing competitions) in July of that same year – a few days before the great sporting event. More than 25 years later, it is still a gastronomic icon. For this reason, many famous personalities such as some members of Spanish and European royal houses, the former mayor of Barcelona and former president of the Generalitat de Catalunya Pasqual Maragall or the former IOC president Juan Antonio Samaranch have been here. The restaurant specializes in tapas and fresh fish and seafood dishes; it is located in the Moll de Gregal, 29, and is open all year round. 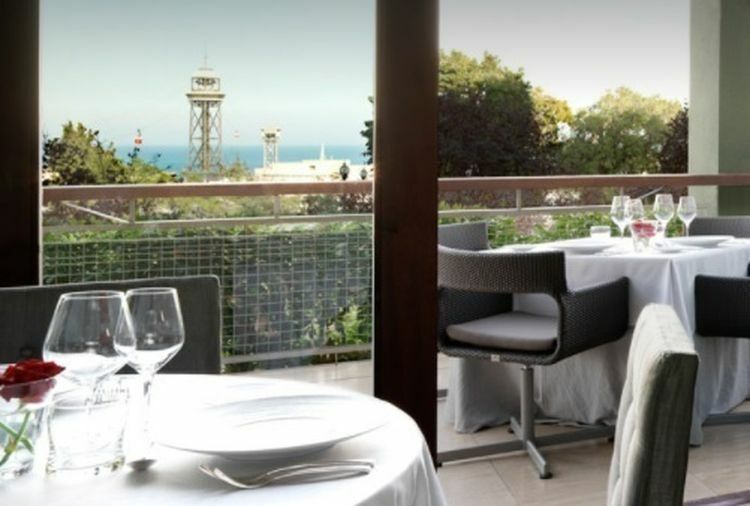 The Forestier Restaurant, recently renovated and located in the Miramar Hotel in Montjuïc, is an unbeatable choice to enjoy a delicious meal in exquisite atmosphere with breath-taking views over the city, the sea and the beautiful gardens of Forestier, from which it takes its name. Its menu offers the most avant-garde cuisine with creative touches to please every single palate. At the same time, its winery has an extensive wine list with prestigious denominations of origin. El Forestier is located at Carlos Ibáñez Street, 3. This sky restaurant with barbecued and smoked fish marries the best sea views with exquisite seafood dishes of Spanish cuisine. Located on the 24th floor of the Colón Tower (avenida de las Drassanes, 6), it offers a 360° view at 110 m altitude, which stretches from the top of Tibidabo to the coast of the Maresme. Don’t miss the most interesting dishes from the varied menu offered by this restaurant; and keep in mind that the ingredients and recipes were collected from different parts of the peninsular coasts. For example, savour grilled fish from the north, sea and mountain rice from Catalonia, fried fish from Andalusia, stews from, seafood from Galicia, tuna with herbs and spices from Cádiz, hake from Cudillero, in Asturias… Are you ready to order? 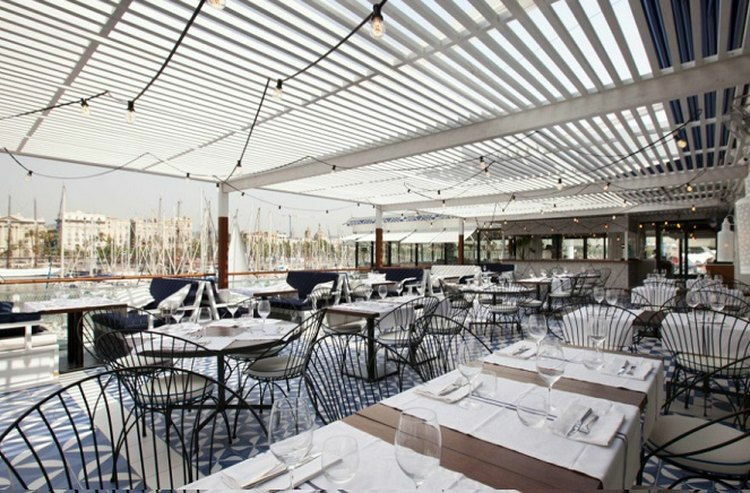 Located in the Real Club Marítimo (Moll d’ Espanya, 4, in the Port Vell), this new restaurant also stands out for offering an impressive 360° panoramic view over the marina and the rest of the city. 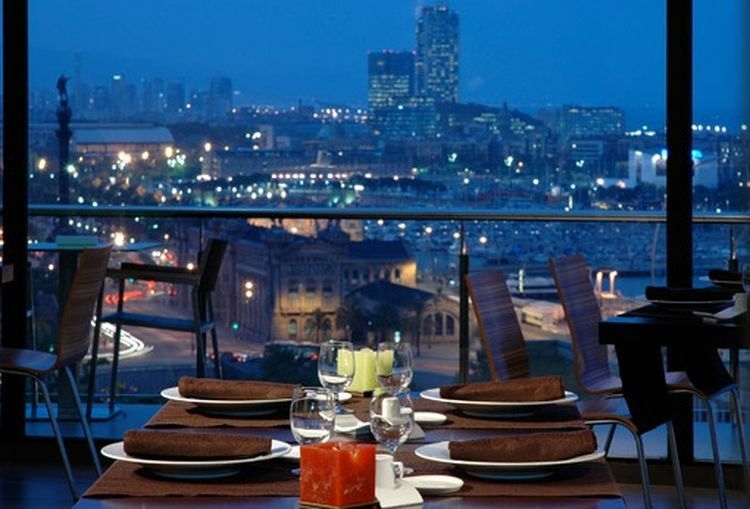 Its terrace, which literally spreads over the Mediterranean, is ideal for a romantic dinner in Barcelona. In addition, its promoters pay special attention to the selection of ingredients, which are the basis for scrumptious and down-to-earth recipes. In our opinion, you should absolutely try its delicious fresh firewood grilled fish and tasty rice dishes, including paella. Managed by Carles Camps and with Mauro Freire as a chef, this restaurant combines an ambitious culinary challenge with hypnotic 180° view from the harbour to the unmistakable silhouette of Tibidabo. Among its most popular dishes, inspired by the authentic Mediterranean gastronomy, you can find crayfish cream, monkfish with almond sauce, beef tenderloin with foie gras sauce and the sweet rice with lobster and mushrooms. The place is located on carretera de Miramar, 40. With a name reminiscent of a famous song by Jorge Sepulveda, Mirandoalmar is located on the second floor of the Maremágnum Shopping Centre. Delicious dishes of Catalan gastronomy await you there, made with high quality ingredients; the icing on the cake are fascinating views over the Port Vell and the Rellotge tower, an old lighthouse built in 1772 and transformed into a clock in 1904. The establishment can host up to 120 guests and is open from 12:00 pm to midnight uninterruptedly, 365 days a year. Inaugurated in 1996 and located in the Port Vell (carrer de l’ Escar, 22), this establishment is doing its best to make a name for itself and to become the best fish restaurant in Barcelona. 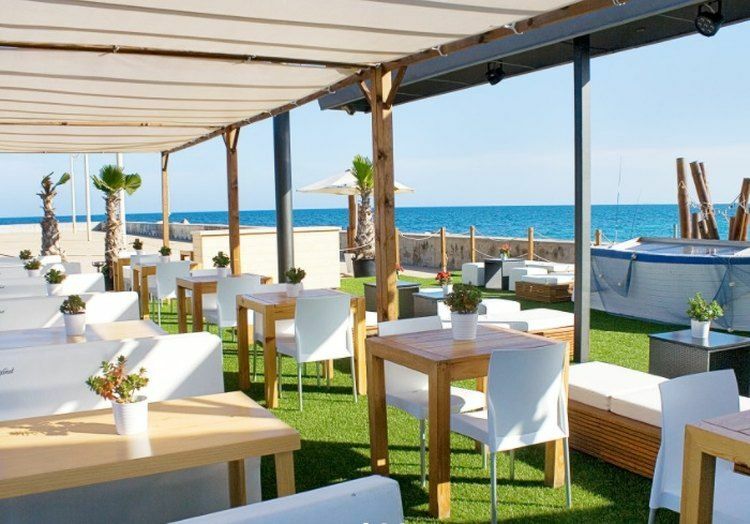 On its premises you can taste the most genuine Catalan and Mediterranean cuisine, with menus for groups offering fresh fish and seafood. From there you will contemplate unique views over the quays of Barcelona. There are also indoor spaces with private lounges to celebrate family reunions or corporate events. Want to know more about this neighbourhood’s cuisine? Check out the best tapas bars in Barceloneta! By the way: the Gòtic quarter and the church of Sant Miquel are just a stone’s throw away. The chefs Joan Martínez and Albert Dolcet offer impeccable creative cuisine with wonderful views over the Mediterranean and the city, which is why it could well be on our list of the best rooftop bars in Barcelona. Savour some of the best fruits of Barcelona recipe book, based on modern Mediterranean cuisine d´auteur. You’ll have the chance to choose from one of two irresistible menus – the Gourmet menu or the Petit Gourmet menu; in either case you´ll be offered creamy shrimp rice, beef tartar, hake ¨al pilpil¨, crispy plankton or vegetable garden on top of fake soil. 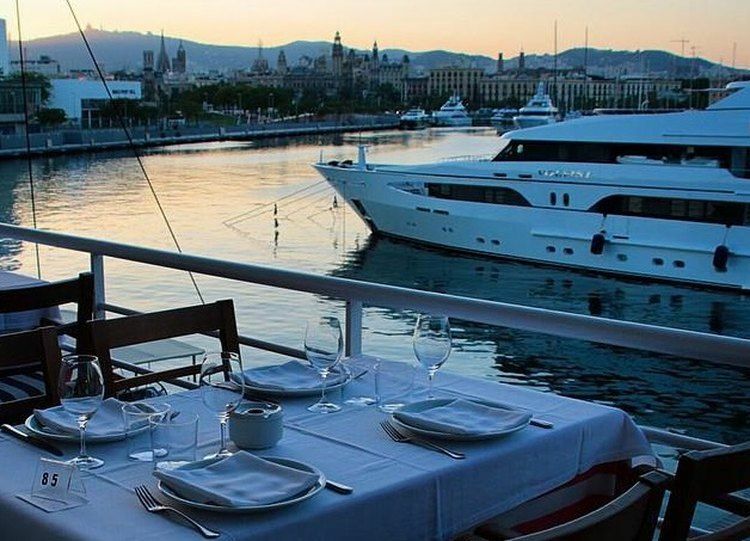 Would you like to extend this list adding other restaurants with sea views in Barcelona? If that is the case, we will be happy to hear your culinary suggestions. Do not hesitate to send us your comments! 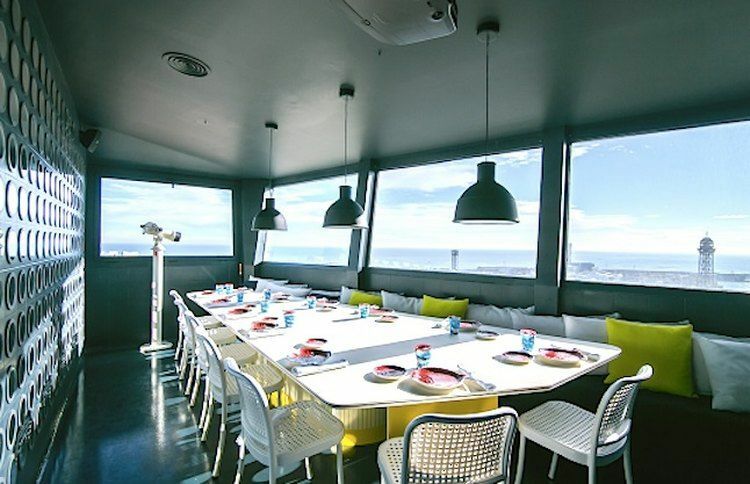 The best restaurants with sea views in Barcelona have to be those in the Barceloneta. They not only have beachfront locations but you can also get a great view of the city’s skyline at night. We would like to thank you for these recommendations.